One thing every Delhiite can agree to is that roadside momos trump any fancy place's version. 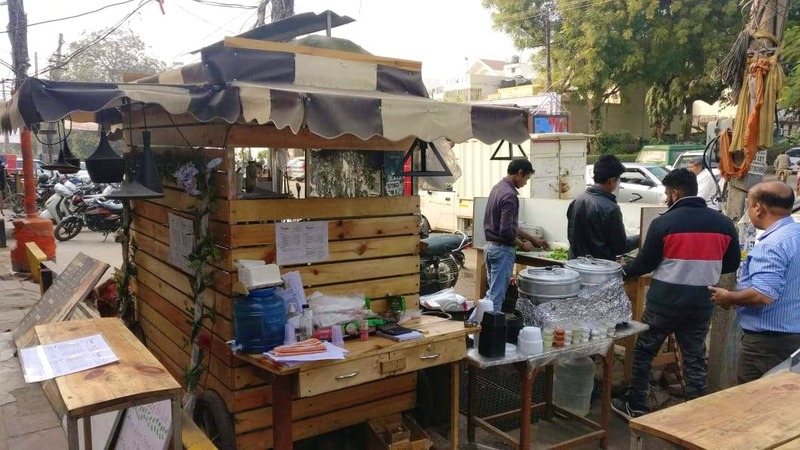 So when we found this little, wooden stall called El Plato, while strolling through the Sector 15 market in Faridabad, we knew we had to give them a try. We ordered the usual—a plate of steamed chicken momos—and it came sprinkled with chaat masala alongside a rather cold, red chutney and the good ol' mayo. We took the first bite while being somewhat doubtful, but they turned out to be exactly as our ideal roadside momos would be (the weird, cold chutney was definitely a thumbs up, too). These guys looked like they paid attention to hygiene as well. They even do snacks like honey chilli potatoes, chicken wings, and chilli chicken, as well as proper meals like butter chicken and dal makhani, but we'd rather stick to the plateful of momos here.